Did you know there may be a silent killer in your home that can claim the life of your beloved pet without you even knowing it? Carbon monoxide is a colourless, odourless gas produced by heaters, boilers and cookers in the home. Most people know it can be fatally toxic to people, but did you know it is toxic for pets too? 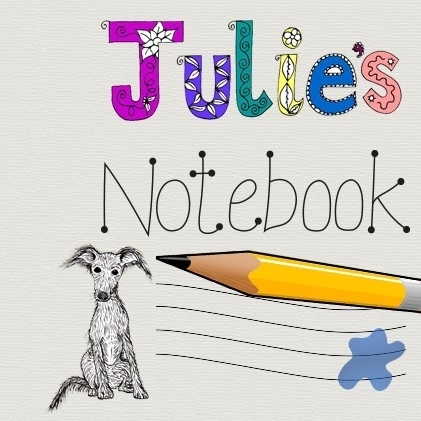 I personally had no idea that dogs or other pets would be in danger from carbon monoxide, and when I was in a home in the past that had a gas leak we left the dog asleep on the sofa whilst we went outside for fresh air and waited about half an hour for the house to become safer. No idea at all that was the wrong thing to do, and the first time I heard it mentioned was in an email I’ve copied below…. Worryingly it’s very difficult to detect and can easily be inhaled without realising. For example, a faulty heater running all night can poison a household while they are sleeping, no one would know anything was wrong. A recent case in America saw 12 pet birds die after a carbon monoxide leak in a family home, which also saw the family dog fall seriously ill after being exposed to harmful levels of the gas. Thankfully, this woofer made a full recovery. What we do know, though, is that your pet has a reduced capacity to deal with the effects of carbon monoxide poisoning compared to a human. If you don’t have a detector the good news is you can win a carbon Monoxide detector from CORGI Homecare each month. As soon as Blokey gets home I’m going to ask him to drill two little holes to fit this to the wall. 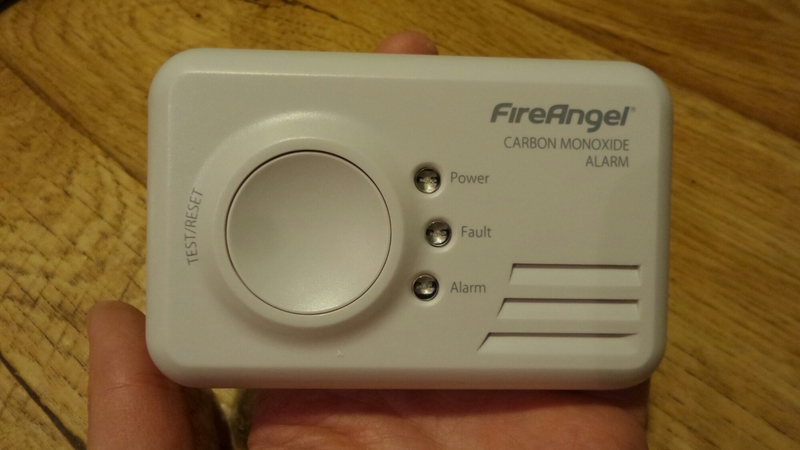 You need to test the alarm noise once a week and do an annual full test using an incense stick to make sure it’s picking up carbon monoxide not just making a noise. Disclosure : this post links to CORGI HomePlan “how safe is your home“. I received a free carbon monoxide detector for this post. 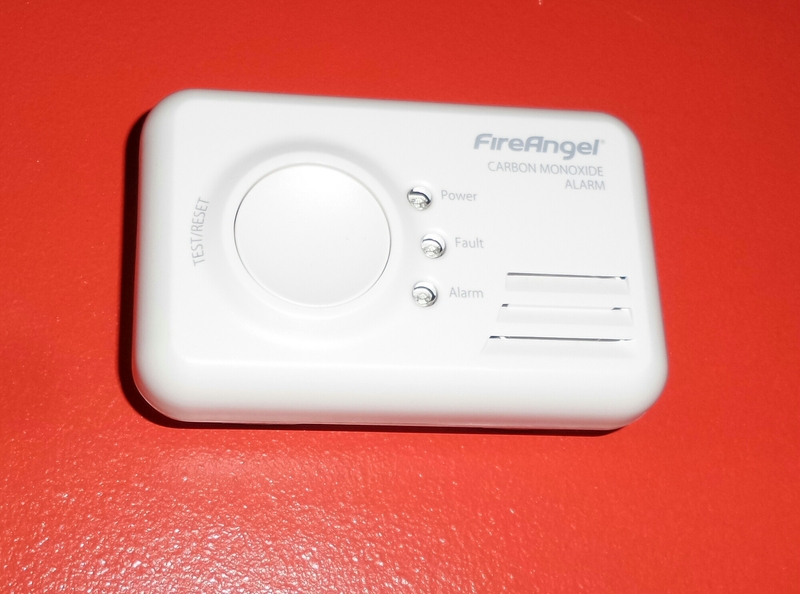 Having a carbon monoxide detector is so important Thanks for highlighting this Julie! I always make sure I leave a window slightly ajar. I know it’s not much but it’s better than nothing!